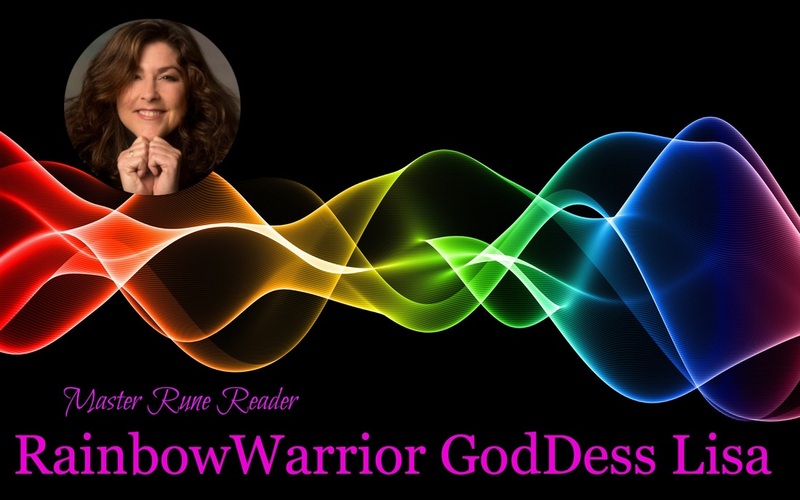 I am a Master Rune Reader, Claircognizant, Clairsentient, Healer, and Spiritual Awakening Facilitator here help you find Peace, Love, and your Inner Wisdom in these challenging Transformational Times. Allow me to assist you. I was born with my psychic gifts of clairsentience, claircognizance, empathy, and the capacity to consciously lucid dream or journey in the astral plane. I have worked with Runes and studied Wicca since 6 and other mystical practices with an authentic Mayan Shaman and other indigenous healers as an adult. I have also studied with Dr. Stanislov Groff, the founder of transpersonal psychology, which addresses the whole person in this lifetime by addressing and recognizing influences prior to and during birth as well as past lives and transpersonal experiences that arise during altered states of consciousness. I, therefore, specialize in Shadow Work, addressing and releasing repressed emotional traumas, self-limiting beliefs, and habits that mostly live in the subconscious yet prevent people from creating the lives we desire to be living by robbing them of life force. I can see and feel what you may or may not that is keeping you from your potential and a fully empowered life. I also do workshops and retreats aside from Keen and my healing practice that focus on Shadow Work, Conscious Communication, and Sexual Sovereignty so I have much experience empowering individuals and couples through healing and learning the arts of self-exploration and Conscious Communication. Using my special psychic gifts and other empirical training as a healer and Spiritual Awakening Facilitator, I am able to recognize the sources of both your blockages and negative energies in your body, mind, emotions, and life to assist your in finding your path back to balance and wholeness. My guidance is honest, thoughtful, and direct so you will find my readings will guide you to live to your full potential, an empowered and balanced life filled with inner peace, love, abundance, and joy having reconnected your ego (Divine Masculine) with your immortal spirit (Divine Feminine) and found the gifts you came to share with the world from this Divine Sacred Union. So wonderful and inspiring to talk to! Thank you.. spot on and very helpful. I am a Spiritual Rainbow Warrior GodDess of the Light who wields a mighty sword of Truth & Justice and Magickal Wand of Healing here to Serve in the Revolution of Love. Since I was a small child I have had precognitive dreams of these Challenging Times we find ourselves in and my role in them. These and many other signs or omens have drawn me to seek out as much metaphysical, mystical, esoteric, and scientific knowledge and wisdom including everything from the Vedas to quantum mechanics, Wicca to epigenetics, gnosis to fractal geometry, and anything else that created tingles all over my body when found or peaked my avid curiosity. I am incarnate on Earth to Serve my fellow humans by sharing my gifts to help them heal, forgive both self and "other", and release all that no longer serves them while supporting them in their ego/Shadow Work ( what most simply call looking in your own mirror). It is amazing what we can hide from ourselves no matter how smart we think we are. It is my Intention to offer spiritual guidance to help you find the answers you are looking for on your spiritual path in life and assist you in finding your own Inner Wisdom. I will assist you in finding Empowerment, your Gifts you came to bring to the world, and facilitate the Remembrance of who you Truly are. I am Grateful to have survived my life path to be here and be able to assist in these Challenging Transiformational Times. I am a master Rune reader, claircognizant, clairsentient, clairgustant, empathic, shamanic practitioner/healer, modern mystic, and Kundalini Awakened. I also have a practice as a Spiritual Awakening Facilitator and Conscious Evolution Coach who specializes in Shadow Work and Stories as Healing. I am very direct yet gentle, supportive, and compassionate. I practice Radical Integrity and Unconditional Love. Transformation... this is my Wish for You. If you choose to surrender to this process, you will travel through your lens of fear and all its' illusions into the Light where you clearly see that ALL there is, is Love and Perfection everywhere... and this includes You. Surrender. What you resist persists. Surrender... that is the Key. You may consult me on any subject, question, or dilemma you may have. I, the Lone Warrior, prepared myself for battle as I drank myself to sleep. Only to finally see, by the Light of the Rising Sun, that I had rolled over on my own blade. I, the frightened Child, left my mangled armor and began to crawl towards the Sun. Rainbow Warrior GodDess Lisa has been a user of Keen since 2012. 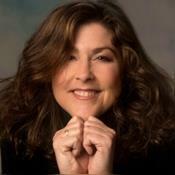 Getting Love & Relationships advice from Rainbow Warrior GodDess Lisa through www.keen.com is safe, secure and confidential.